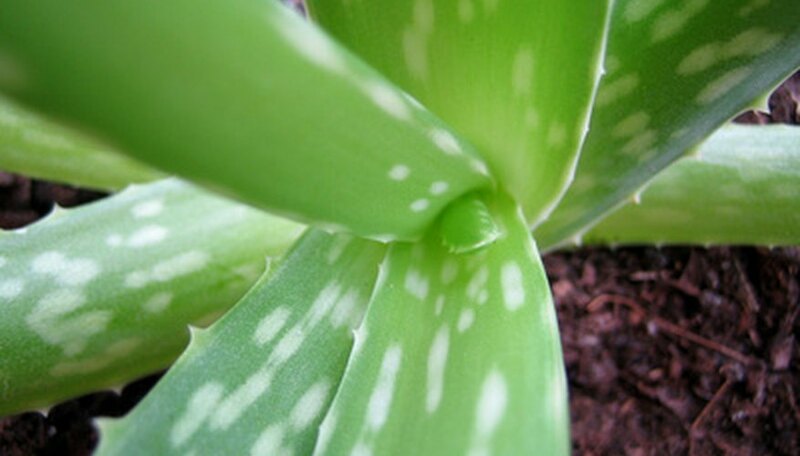 The most famous kind of aloe plant is the Aloe vera, which has sap that is used in alternative remedies. However, a variety of other aloe flowers exist that are known for their ability to resist hot weather and for the very unique and colorful flowers they produce. The flowers produced by aloe plants are often difficult to identify as flowers at all. Aloe flowers are brightly colored and often look like coral, according to the Garden Helper. They can have colors in them such as reds, oranges, pinks, yellows, purples and greens. Some of the aloe flowers look like miniature bananas. On rare occasions, these flowers have spots, such as the aloe flowers found in central Africa. The flowers can look like tubes, cones or can be very spiny. Some of the aloe flowers have patches of different colors. Some flowers are longer, while other flowers form thick clusters. Some have cones that branch out far. The nectar produced by the aloe flowers is one of the favorite foods for humming birds, according to the Garden Helper. Most of these plants have nectar that is very sweet, though aloe plants that are over-watered can sometimes get a foul smell. Frost is very harmful to aloe flowers, since these plants have high water content, according to the Garden Helper. These plants prefer hot climates and can only tolerate light shade. However, Aloe arborescens can handle cold weather better than the other aloe plants. In order for aloe flowers to bloom, the soil needs to be fertile and drain very quickly. These flowers need to be grown in either places that have warm climates or indoors by the window. While aloe plants like sunlight a lot, aloe flowers that turn tan, pink or brown are getting too much sunlight, according to Free Aloe Plant. Aloe leaves can be pruned in order to reduce the amount of space taken up by the plant, though too much pruning can reduce the number of flowers that bloom on the aloe plant. Famous types of aloe plants include the Aloe vera, known as a treatment for burns and other skin ailments; the Aloe arborescens, which has sweet nectar that attracts birds and bugs during the winter; Aloe aristata, which also attracts a lot of birds and bees; Aloe dichotoma, a plant that is declining due to climate change; Aloe nyeriensis, which grows flowers that are on a stalk; Aloe variegata; Aloe barbadensis; and Aloe wildii.